Falling Angels by Tracy Chevalier, is a novel of historical fiction that takes place in London at the turn of the century and a few subsequent years following the death of Queen Victoria in 1901. The novel centers largely around the ever-strengthening Suffragette Movement in England. There is an interesting parallel to be drawn between this novel, especially the implications of the title, and an essay by Virginia Woolf that discusses the idea of ‘The Angel in the House’. By juxtaposing this essay with Falling Angels one can see some interesting implications. The novel has a literal falling angel in the cemetery, in which the angel falls as if to foreshadow Kitty Coleman’s upcoming extra-marital indiscretion, her eventual abortion, and her involvement in the suffragette movement, which would absolutely be considered a degradation of the “purity” of the angel. Interesting though, in this novel, that with Kitty’s liberation comes her downfall. Falling Angels is packed with subtext and I can’t imagine that Kitty’s deterioration as a marginally good mother and wife is just there for literary intrigue. The inverse relationship between her ability to be a good mother and wife and her increasing involvement in the suffragette movement suggests that perhaps some of the qualities of the angel should be kept. The angel as a source of doubt, limitation, and the smothering of creativity and individual thought should be destroyed, certainly, as Woolf implores us to do. However, in light of Kitty’s position as a mother, a level of self-sacrifice, such as that the angel embodies, is desired. This at least is my interpretation of Falling Angels in regards to the angel in the house. In the novel “Falling Angels” By: Tracey Chevalier, the death of Queen Victoria was a monumental moment in the story. In the beginning of the novel, it explains how Gertrude Waterhouse was dressed up appropriately for a wedding, while Kitty Coleman was not. This could be looked at as a sign of how both the characters are being viewed. Kitty Coleman is being perceived as not following tradition when she shoes up in a blue dress for the funeral instead of the proper attire of a black dress. Meanwhile, Gertrude Waterhouse is in traditional cloths. Already we get a sense that Kitty Coleman may have different views on society and it’s tradition than Gertrude Waterhouse. Also a quote from the book states (Gertrude speaking), “I was of course as civil as I could be, but it was clear that Kitty Coleman was bored with me. And then she made cutting remarks about Livy, and said disrespectful things-not exactly about the Queen, but I couldn’t help feeling that Victoria had in some way been slighted.” This quote captures how close Queen Victoria must have been to Gertrude Waterhouse and how Kitty Coleman must have offended her by the statement she said. 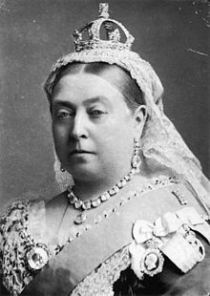 Queen Victoria’s rule had an impact on society. According to the article, “Victoria- by The British Monarchy”, “During Victoria’s long reign, direct political power moved away from the sovereign. A series of Acts broadened the social and economic base of the electorate.” Also, the article states, “On social issues, she tended to favor measures to improve the lot of the poor, such as the Royal Commission on housing.” This fact ties in the connection of respect the Gertrude Waterhouse has for Queen Victoria. In a sense, Queen Victoria was helping out her family, and her passing was a tragedy for her and the family. Back towards the beginning of the book it states how even Gertrude’s daughter Livy was even crying for the Queen. This could have been an influence of the parents educating her on the benefits the Queen may have had on the family. Also, it states how Kitty Coleman was actually making fun of Livy for crying. This shows how Kitty Coleman did not share the same connection as Gertrude did in accordance to the benefits that the Queen did for societies lower class. I found Falling Angels to be extremely interesting and one of my favorite books that we have read so far. I have always found the Victorian era to be fascinating, and have taken a couple of history classes that have focused on the Victorian Era. One of the things that interested me about the reading was the attitudes to women’s suffrage, specifically the women of the novel. Tracy Chevalier’s website provides background information on the Victorian era, as well as information about the Women’s Suffrage Movement. 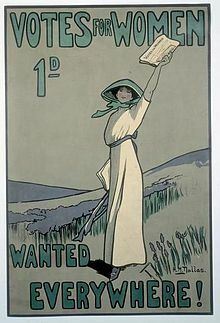 Women’s Suffrage was passed in 1918, with the Representation of the People Act. This act allowed for women over the age of 30 to vote. 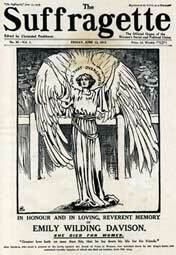 Falling Angels ends in 1910, which is eight years before the act was passed. 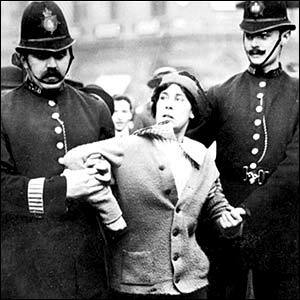 One of the points that I found very interesting was the attitudes that many of the characters had toward the suffragettes. Many of the characters in the novel had negative views on women’s suffrage. One of the character’s who held a negative view women’s suffrage was the house keeper Jenny Whiby. On page 185 she states, “I finally listened to them suffragettes today as I passed round the scones. What I heard made me want to spit. They talk about helping women but it turns out they’re choosy about who exactly they help. They ain’t fighting for my vote – only for women who own property or went to university.” Jenny brings up the interesting point that there would be a limited group of people who would be enfranchised if they succeeded in obtaining suffrage. The Women’s Social and Political Union (WSPU)’s main objective was to gain the rights for some women to be able to vote. Their intention was for women to be on the same page as men, who at the point of the WSPU’s founding in 1903 only 1/3 of men were able to vote in elections. Once the government passed the Representation of the People Act it gave a selected group of women the right to vote, this included women over the age of 30 who either owned property or rented property at 5 pounds a year or if their husband fit these requirements. This act allowed for about 8.5 million women to vote. Although this enfranchised many women, this act would not allow for women like Jenny Whiby to be able to vote. Jenny would be one of the women with something to gain from obtaining the vote. She was fired and kicked out of the house once she became pregnant she had virtually no rights. She was not able to take any action legally that would help her and make her life easier. If women like Jenny obtained the vote they would be able focus on issues that would make like for working class, or single women more livable. It is interesting to see the different viewpoints that are presented in this novel on women’s suffrage. Women like Kitty Coleman who were themselves suffragettes, to women such as Gertrude Waterhouse, who tended to have a strict Victorian view on the ways things should be done, to women like Jenny Whiby who did not support the movement who did not support a movement that did not support them her as a working class women. The two families slowly grow to work together, as they realize how similar their fates are, how alike their desires are, and how the pushing apart of women was what was keeping them from moving forward. Virginia Woolf describes in her essay “Professions for Women” the one person who kept her back from writing and achieving what she wished as the ‘Angel in the House.’ Woolf defines this angel as, “intensely sympathetic. She was immensely charming. She was utterly unselfish. She excelled in the difficult arts of family life. 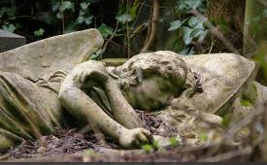 She sacrificed herself daily… in short she was so constituted that she never had a mind or a wish of her own.” I believe this type of Angel represents what was expected of women in the Edwardian time period. Women were expected to excel within the household and family matters, to succumb to each of their husbands desires and satiate all of their children’s needs, but never to exist outside the home. Women were thus deemed obedient creatures, merely slaves to their own households and expected to thrive under these societal expectations as perfect, compliant beings. Therefore, Woolf’s desire to kill these Angels is a commentary on her belief that women are worth so much more than just as obedient housekeepers. Falling Angels even in the title itself is an extension of the argument in Woolf’s essay; that in order to excel in life women must break free of these expectations that limit them in order to recognize and bring their full potential to fruition. By placing the mothers in the book, Kitty and Gertrude, against each other, Chevalier is showing how women succumbing to the norms of society and believing that money or a large house can be the defining factor in what makes someone worthwhile can only hinder women from growing. Also, to refer back to my last post on The Emperor’s Babe, the women in Falling Angels also find power in their sexuality. Richard Coleman states in his first entry he thought by making Kitty jealous that would “open her bedroom door to [him] again.” Chevalier is also alluding to the idea that much of a woman’s power is found in her sexuality. This is a historical novel set in Edwardian England, after the death of Queen Victoria and before the death of her successor, King Edward VII, 1901-1910. 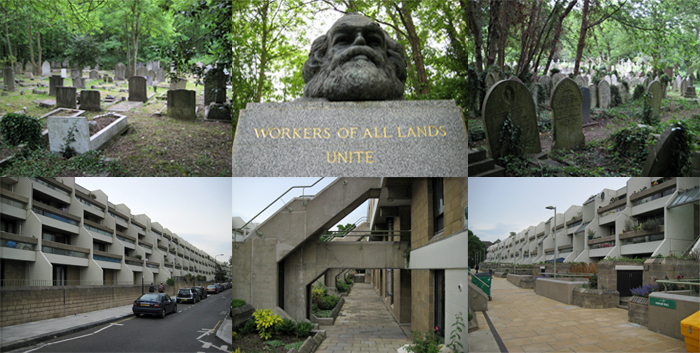 The story looks at the social issues of this period using specific characters to tell a story, which is centered around the Highgate Cemetery in London. 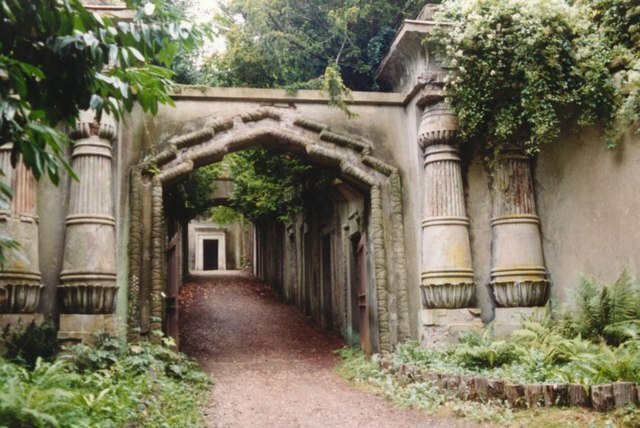 Much of the story takes place in the cemetery. Death and mourning are a part of the story. The author uses changes in the first person narrative to tell the story. These are short chapters and help move the story along. This also provides both major and minor characters a way to tell their point of view. Two families, the Waterhouse’s and the Coleman’s live next to each other but are from different social classes. Two friends, Maude and Lavinia, become close friends. The story is about the girl’s friendship but I thought the story was very much about social class and the position of women in Edwardian England. The story of Maude’s mother, Kitty Coleman, is a central element of the book. Kitty is unhappy in her role as wife and mother and unhappy about her “place”: “There is indeed no comfortable place for me – I am too near the fire or too far away.” (Chevalier p. 54). She is neglectful of Maude. A love affair with Mr. Jackson ends sadly with an unwanted pregnancy and abortion. Her eventual involvement in the suffrage movement allows Kitty to devote all of her energy into a cause, but this also ends in a tragic way. Who are the angels in this story? This is a point the class will be discussing. 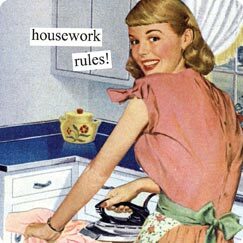 I do think the view of the role of women in Victorian/Edwardian society, as wives and mothers, was idealized. This may be a way to say how this story “writes London” because it tells the story of how women of this era lived. Other class readings refer to her as Angel in the House. Do these angels fall when they look at changing their role in society specifically by gaining the right to vote? Knowing more about how women were viewed or learning more about the women’s suffrage movement in Great Britain isn’t essential in the reading of this book, but learning about the history of the time and place enhances the understanding of the story. Reading a good novel set in a specific period of history can make you want to learn about the time and any real life characters that are portrayed in the story. It would be interesting to learn if real life events depicted in the story really happened in the way the author describes the events. Chevalier, Tracy. Falling Angels. London: Penguin Books, Ltd. 2001. Book. “When to stop researching and start writing by Tracy Chevalier.” The History Girls. 29 March 2013. Web. June 25 2013.